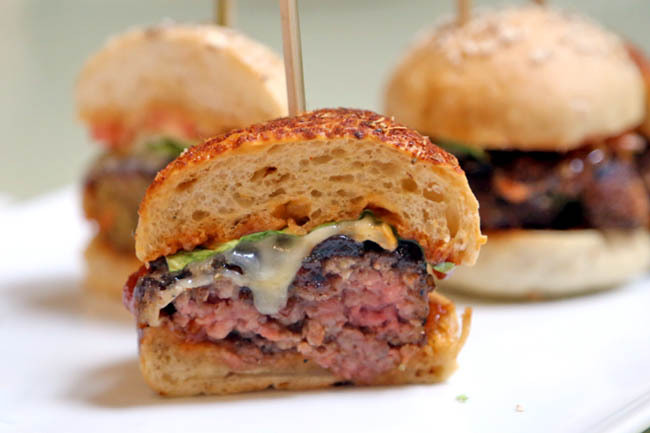 [Updated 15 Jan 2015] Manhattan has introduced a new district menu, the Lower East Side. There are many hotel bars in Singapore, but I dare say few can emulate Manhattan. This has been totally transformed from the former sad-looking space to a grand one inspired by 19th century New York. Yes, the golden age of cocktails, fine drinking and fancy food. 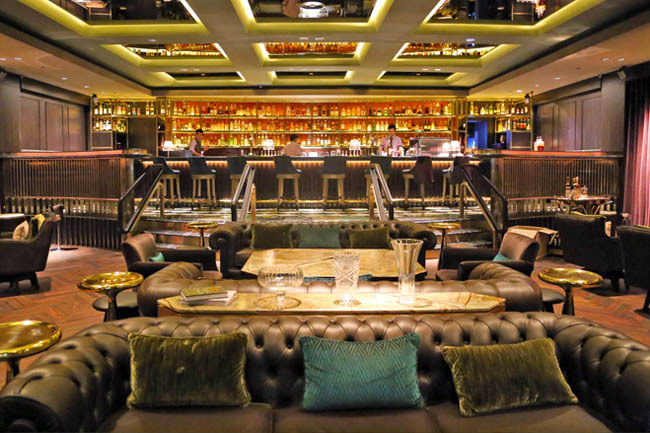 While you are not likely to find Leonardo DiCaprio here, Head Bartender Ricky Raiva from Manhattan should entertain you with his skilled cocktail craft and eloquence. He has quite a unique look too. 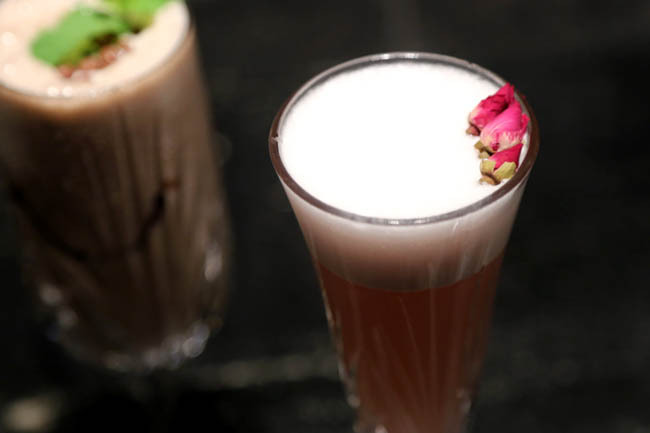 Ricky recommended us The Princess Cut($23), something “which every lady will like” – a combination of G’Vine Floraison Gin, June fleur de vigne liqueur, house-made hibiscus syrup, fresh lemon, rosewater and champagne. I could not really find fault with the food, except that it could be seen as pricey for its portion and servings. 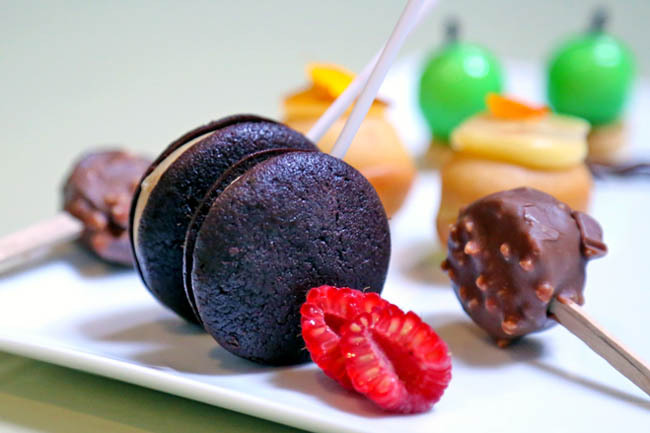 But looking at the effort and creativity put into the bar bites created by a young Chef Nicholas Trosien from Michigan, you know he got the food quite spot-on. 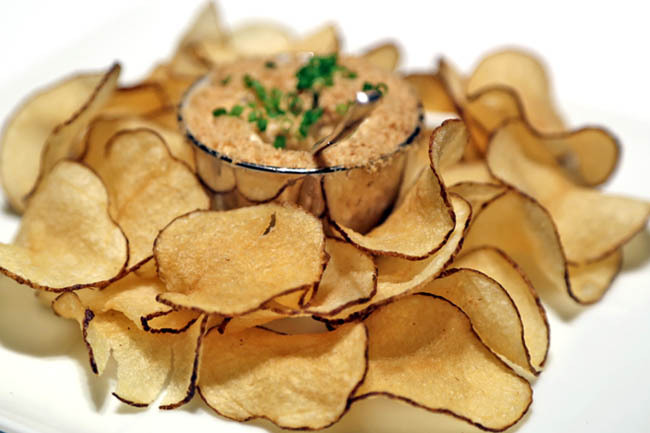 The House-Made Kettle Chips ($12), made in-house, double-fried, dipped in pan-fried onion dip laced with rum-infused grated foie gras, would put many other fries and chips to shame. 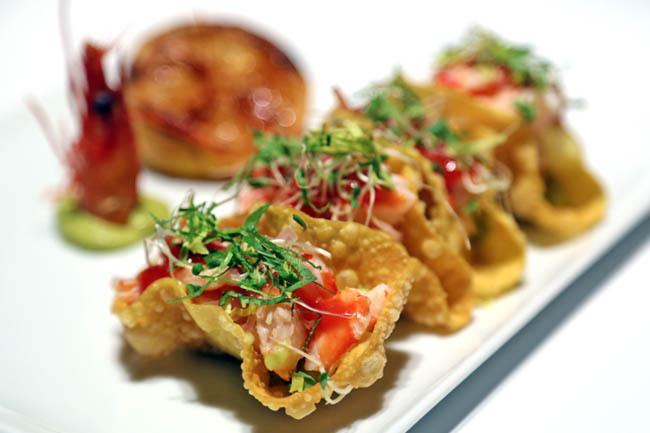 Thin, crisp, fresh bites. Absolutely simple yet divine. 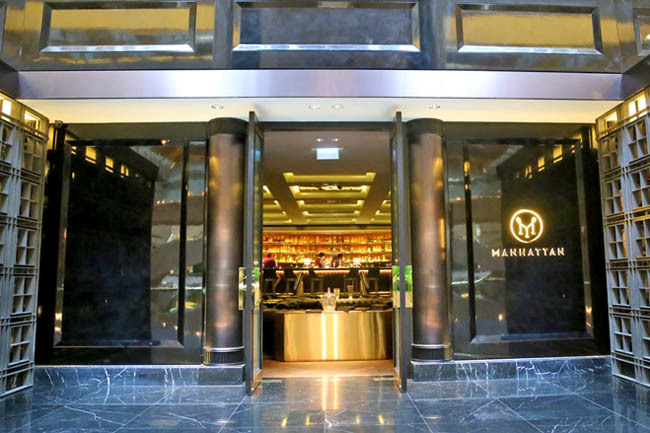 The Manhattan at Regent Singapore has made a deliberate effort to repackage itself. 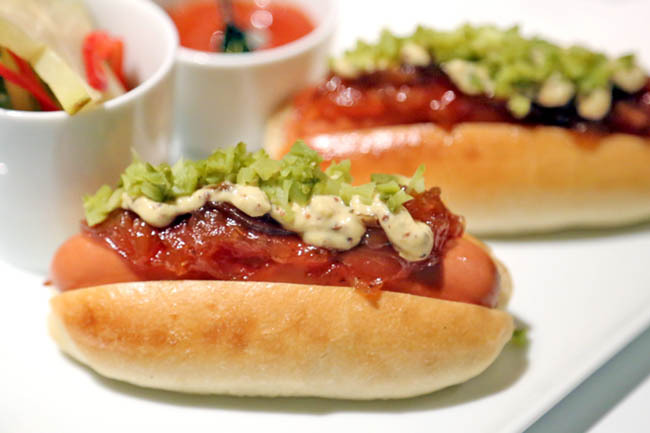 While food has been a second-fiddle in many bars, the team’s attention to crafting food based on the drinks offered, changing them seasonally according to the different American cities, needs to be applauded.